Whenever we have dinner guests or family events we try to have an appetizer to enjoy at cocktail hour. 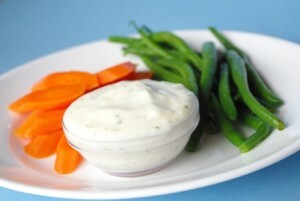 One of my most requested appetizers is Blanched Vegetables and Dip. This is a go to recipe that my mom has made for many years, and that I have adopted for home and catering events. These veggies and dip are so much better than your run-of-the-mill grocery store veggie tray. The vegetables are blanched quickly, then shocked in an ice bath. The aldente vegetables are served chilled with the dip of your choice. We enjoy using fresh vegetables such as green beans, asparagus, carrots, broccoli and cauliflower. Prepare the vegetables for blanching. Trim ends from green beans and leave whole. Cut tough end from the asparagus and leave whole. Peel carrots and slice on the bias (at an angle) into discs. Cut broccoli and cauliflower into bite sized florets. Bring a large pot of water to a boil. Cook one vegetable type at a time. I recommend doing the broccoli last- as the broccoli leaves pieces in the water. Boil vegetables until aldente. Immediately remove from water and place in a bowl of ice water. 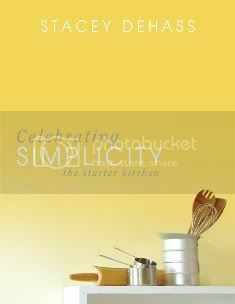 This stops the cooking process and keeps the vegetables aldente (soft but with a slight crunch). Cook time varies between vegetables. Check after 3 minutes then test until they are your desired texture. Once vegetables have been cooked and shocked in the ice bath they can be stored for up to 3 days in the refrigerator before serving. 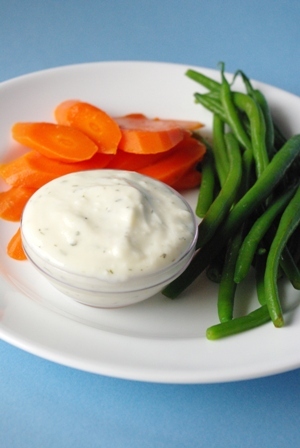 A great, healthy dip to serve with your vegetables is Homemade Yogurt Ranch Dip. I always have a batch of Homemade Ranch Seasoning on hand if I want to make any ranch dip or dressing. For dressing you can mix 3 Tablespoons of this seasoning with 3/4 cup Buttermilk and 1 cup of Mayonnaise. Combine both ingredient and mix well. Refrigerate for at least 1 hour before service- and up to 2 weeks. Combine all dry ingredients. This mixture can be stored in an airtight container for up to 3 months at room temperature. These crackers are a simple solution for your crunch craving. 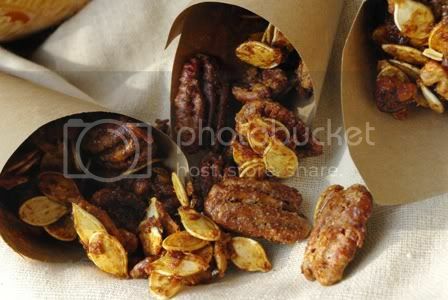 Made with spelt flour and multi grains they can accompany any healthy meal or light snack. 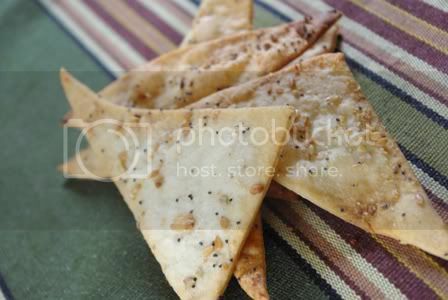 They can also make a great addition to your next potluck along side a tray of cheeses or some dip. Combine flour, baking powder, water, oil, salt, pepper. Knead until all ingredients are well combined. Wrap with plastic wrap and refrigerate for one hour. Remove dough from refrigerator and roll out onto a floured surface. Roll as thin as you prefer. Cut into your preferred shape then brush with olive oil. Then sprinkle with the grains and seeds of your choice. I like poppy seeds, flax seeds, rolled oats or spelt, sunflower seeds or sesame seeds. Place onto greased sheet pan and bake at 425 degrees until golden brown. Depending on the thickness bake 6-8 minutes. These simple appetizers are so easy they can be whipped up in minutes. They also use ingredients that most people have on hand. 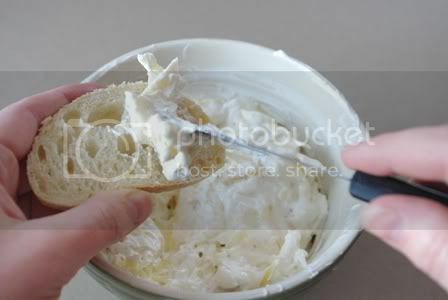 Combine sour cream, mayo, cheese and Italian dressing powder. 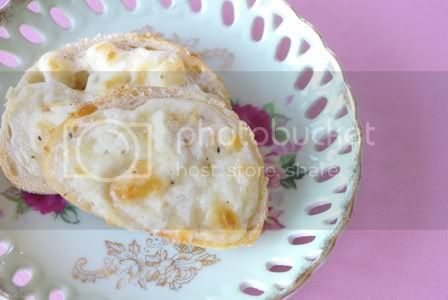 Slice crusty bread and spread with cheese mixture. Bake at 350 degrees for 10 minutes. Serve warm. 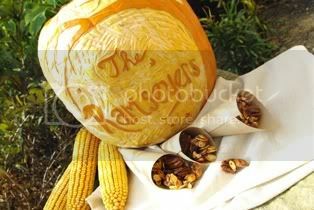 If you, like me, have a slight obssession with carving pumpkins you are always wondering… what do do with those pesky pumpkin seeds? Well, this week I excercised two options. 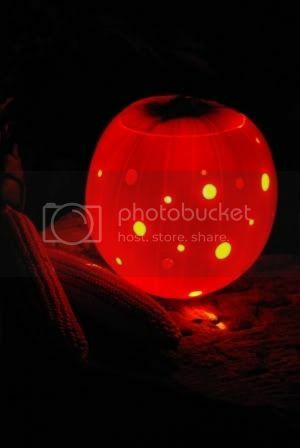 Option 1: Throw them in a ditch and hope for a fruitful harvest next year- because pumpkins are getting expensive! Option 2: Roast them and wonder… why haven’t I done this sooner! 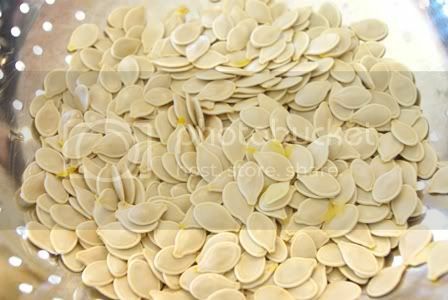 Roasting seeds is easy and they make a tasty snack alongside a cheese tray or appetizer platter. I recieved this recipe from my friend Andrea, and have tried a few variations. They are all a hit! 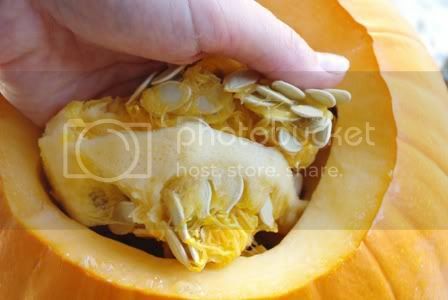 Remove seeds and pulp from the pumpkin with a large kitchen spoon and your hands. Seperate pulp from seeds and discard pulp. Rinse seeds well and drain to dry in a colander. Whip egg whites until they reach a heavy froth, just before soft peaks form. Mix in seasonings and nuts. Place on greased sheet tray and bake at 275 degrees for 1 hour. Stirring every 20 minutes. Remove from oven after 1 hour and loosen the nuts from the pan with a spatula. Allow to cool at room temperature. 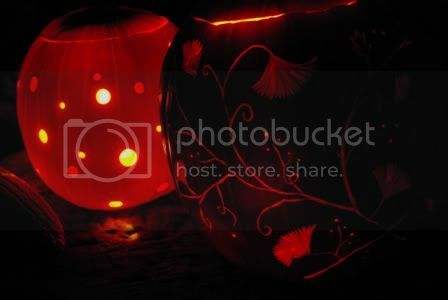 Here are some of the pumpkins that I have carved so far this year… many more to come! 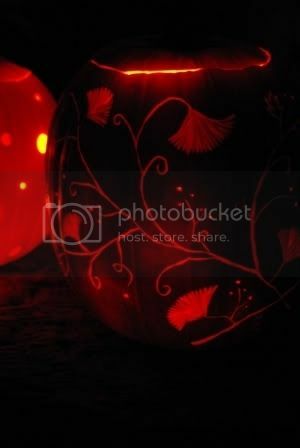 Come back to see more fun pumpkins! This time of year gardens are over flowing with the last remaining Sweet Corn and Tomatoes. Whether you have a garden, have a neighbor with a garden or pick up your veggies at the market- you are looking for uses for this summer’s bounty. Fresh salsa is a quick and easy way to combine two of your favorite summer vegetables. 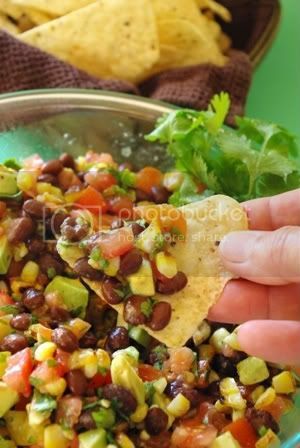 This recipe is great served right after it is made- and is a crowd pleaser for any party you are having! Coat corn ears in 1 tsp of olive oil. Place on a preheated grill and roast at medium heat until partially blackened on each side. The mild flavor of shrimp lends itself well to marinades. This recipe is light and fresh tasting and is great on the grill. If you don’t have a grill (or it’s the middle of winter!) simply cook the shrimp in a sauté pan for 1 minute on each side. 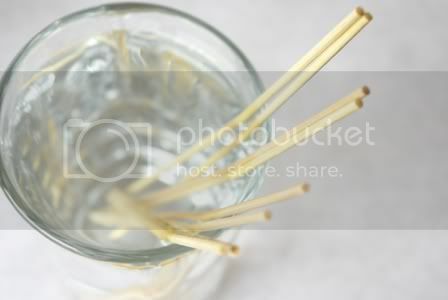 Soak the skewers, if they are made of wood, in a cup of water for at least a ½ an hour. If the skewers are too long for the glass, flip them over halfway through soaking. This prevents the skewers from burning on the grill. In a shallow dish combine oil, honey, lime juice, red pepper flakes and salt. 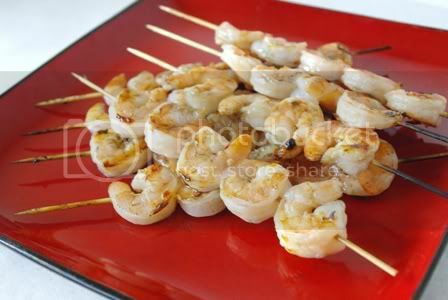 Place 5 pieces of shrimp on each skewer. 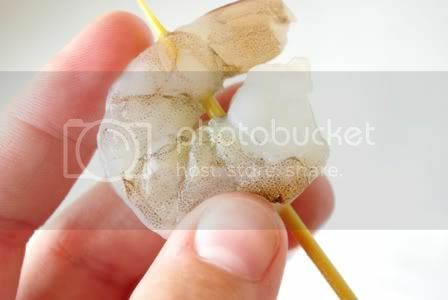 When putting shrimp on the skewer, be sure to go through both the body and tail (as shown) so they are secure. Place prepared skewers in the marinade and refrigerate for at least 1 hour. 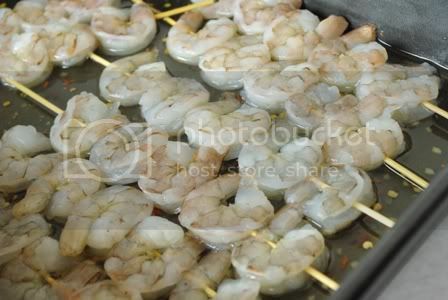 Flip the skewers half way through to soak both sides of the shrimp. Preheat grill to medium heat. 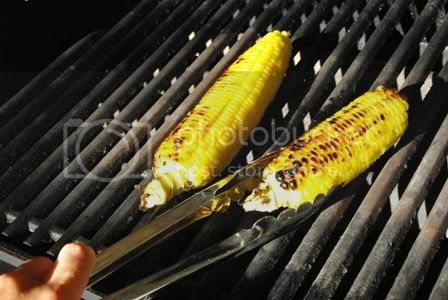 Place skewers on cleaned grill plates. Because of the oil in the marinade they will flame for a few seconds. Cook on each side for one minute. Raw shrimp is gray in color, and cooked shrimp will be light pink. Serve immediately. 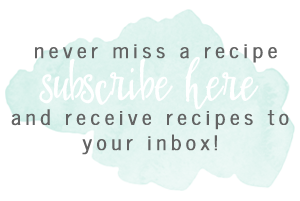 With the holiday season in full swing, and holiday parties everywhere- I have decided to post recipes to help folks break through the monotony. Any time I have attended a holiday potluck or party I recall only a few things- deviled eggs, ham, dip, cookies, ham, ham and more ham. Okay, not that I haven’t eaten my share, I love a good potluck. 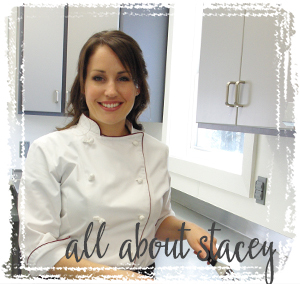 I know many people are searching for new recipes to spice up there carry in, or to make hosting a holiday party exciting. 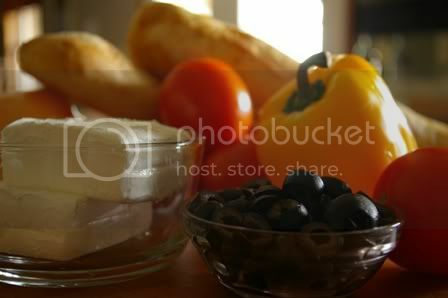 I had a request to post my popular recipe for bruschetta. This is one of the first recipes that I came up with on my own, back when I was about 16 years old. After serving it once it became a staple at every party we had for about four years! Now, I have been able to break free from that pattern, but the recipe is still a family favorite. I am posting this recipe as i came up with it when I was sixteen. If I did it over, I might change just a few things, but- why? This recipe is tried and true.